Company Spotlight: Mother Earth Brew Co.
menuHome > Blog > Company Spotlight: Mother Earth Brew Co.
“Living the dream” has become a go-to conversational response for adults across the nation, but how many can say they’re actually doing so? For Dan Love, owner of Mother Earth Brew Co. in Nampa, Idaho, the answer is a little complicated. 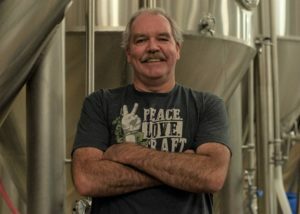 Since 2010, Dan has led the charge in growing Mother Earth from a home brew store, brewery and tasting room packed into 2,000 square feet, to two large breweries in two states. With thousands of beers to choose from on a global scale, Dan emphasizes that Mother Earth continues to grow because it’s just plain better beer. Dan picked the perfect location to create batches of brew; no Idaho fridge is complete without a good craft beer. According the Brewer’s Association, Idaho has more than 4.5 breweries per capita* and produces over 90,000 barrels of craft beer each year. Not only is Idaho working its way up the ranks in beer consumption, but Dan said Idaho’s workforce is the cream of the crop. Dan’s beer is as refreshing as his employees. 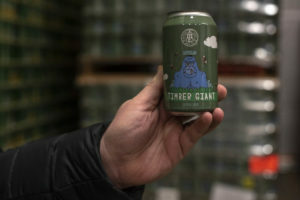 So much so that Treefort Music Fest tapped into Mother Earth to create their 2019 official beer: a pale ale called Timber Giant. A local music festival deserves an attention-grabbing local bear. But is Mother Earth local? 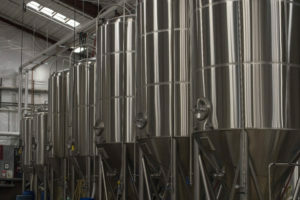 Visit local craft beer company, Mother Earth Brew Co., in their brewery and tasting room at 1428 Madison Avenue, Nampa, Idaho 83687 and at www.motherearthbrewco.com.